Game one of the California series is in the books and as expected the Bay Area prevailed over their SoCal counterparts, winning in the Round 1 opener at Oracle Arena. 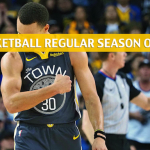 In doing so, the Golden State Warriors maintain their status as the sportsbook’s clear favorite to win the NBA Championship for the 2018-19 season. 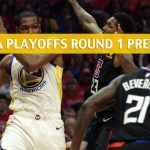 Can the Clips catch up in game 2, or will Curry and company send Los Angeles back home down 2-0 after Monday’s game is cooked? 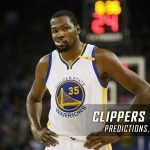 It was a high scoring 121-104 affair for both squads, but the Clippers simply couldn’t win a quarter until they reached the fourth where they managed to outscore the Warriors 25-23, who took the foot off the game just a little. 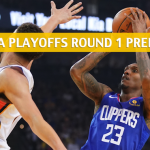 Five Clippers put up double digits, and on paper after reading that bench players Lou Williams and Montrezl Harrell scored 25 and 26 points respectively you would have assumed the team won their game. But alas Golden State’s offensive onslaught was too much for the Clippers defense which simply couldn’t contain them. LA is ranked 19th in league defensive efficiency this season, and it shows. They are however, sixth in the league when it comes to their against the spread (ATS) ranking, with a 45-36-1 record, covering 55.6% of the time during the season. They also maintain the sixth best position in the NBA when it comes to covering after a loss, doing so in 55.9% of their games. 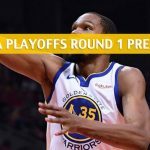 Bettors will want to take note as we head towards game 2 this Monday. The Warriors did what they were expected to do and then some on the offensive end. Curry was phenomenal with 38-points in 37 minutes, which was complemented by Durant’s 23-points and Draymond Green’s 17. Somehow Klay Thompson only managed a dozen in a game where his team put up 121 points. That should strike fear in the Clippers heading into game 2 as Thompson will return to hitting his mark. Golden State shot 49.5% from the field on the night, 46.7% from beyond the arc, and outrebounded the Clippers 53-40. The only real edge Los Angeles had in this one was in the turnover category, but by a small margin with Golden State turning the rock over 21 times to the Clippers’ 19. But the latter is simply due to some busy and at-times whimsical basketball, and coach Kerr will take that any day when his team maintains a lead through the game as they did. 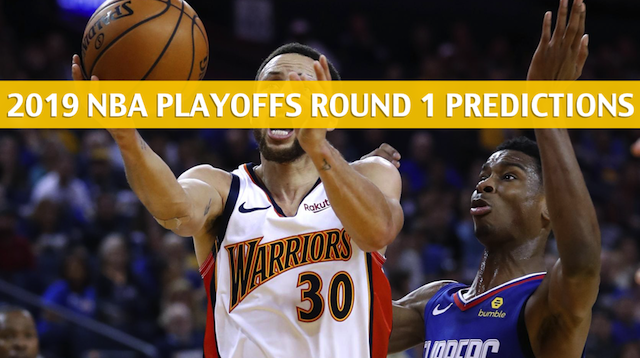 The only bright side for those looking to put some money on the Clips against the Warriors this Monday comes against the spread, as after a win, Golden State is just 25-31-1 ATS, covering only 44.6% of the time. Golden State wins 108-97 and takes a 2-0 lead in their Round 1 series.